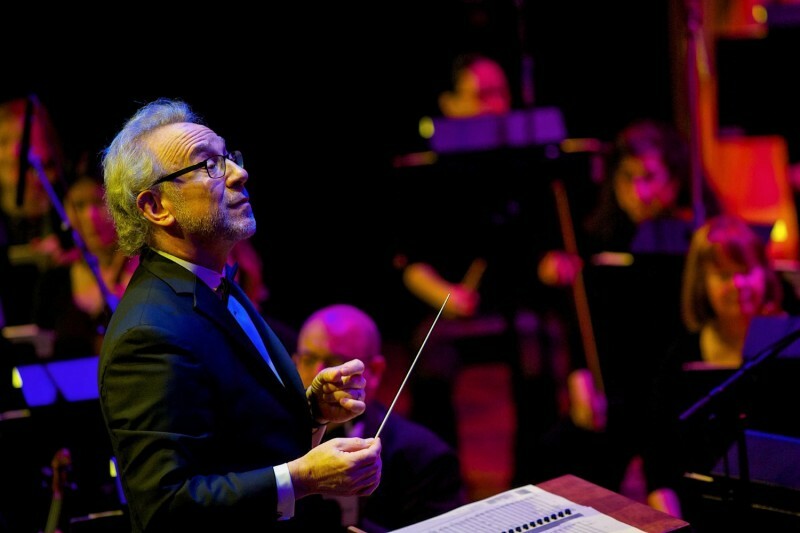 The Grand Rapids Symphony set out 15 years ago to do something it had never done before - fill the better part of DeVos Performance Hall with people who likely had never been to a symphony orchestra concert before. Fill it they did on Saturday, February 18, for the 16th annual “Symphony with Soul.” A moment before the audience rose for the opening number, “Lift Ev’ry Voice and Sing,” hardly a seat was empty. 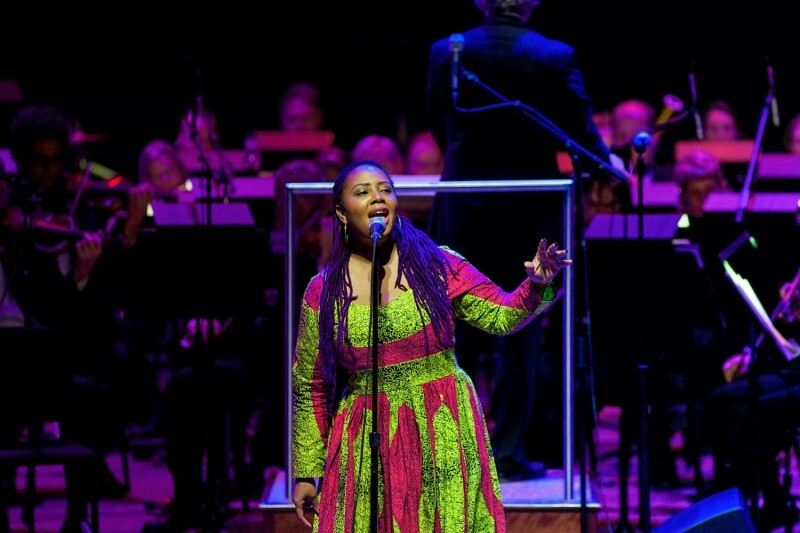 DeVos Hall was filled to capacity, a virtual sellout, to see and hear the Grand Rapids Symphony with special guest Lalah Hathaway. The annual multicultural concert, now a well-established tradition, was a big hit with the big audience. Grand Rapids Symphony has welcomed several well-known, big-name artists over the years to DeVos Hall. Several, including Dianne Reeves, Dee Dee Bridgewater and Vanessa Williams, are well established in their careers. 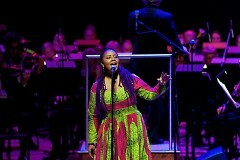 Five-time Grammy Award winner Lalah Hathaway is just getting started, though you wouldn’t know it to listen to her. 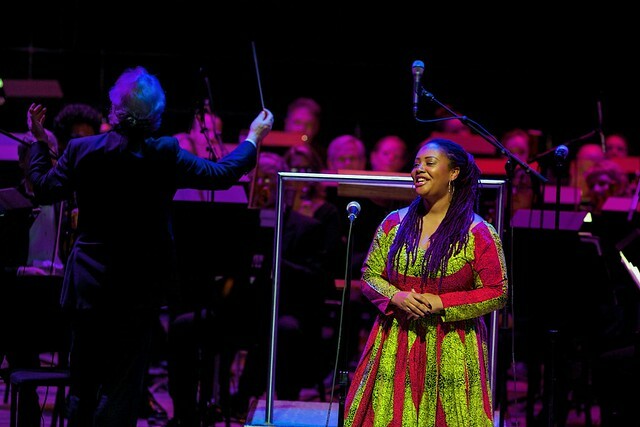 The daughter of famed soul singer Donny Hathaway sings with a voice that caresses the ear on songs such as “Here’s to Life,” one of several that also featured the Grand Rapids Symphony. At the end of the night, Hathaway brought Assistant Principal Cellist Jeremy Crosmer into the spotlight to play along on “Street Life.” It was a treat for everyone including her backup band. “It was the craziest day ever,” she said with a laugh. Then she showed us why with the Anita Baker song, “Angel,” which garnered Hathaway the other of her two Grammys last week. “I’ve been singing since I was a little girl,” she said. Hopefully she’ll keep on singing. 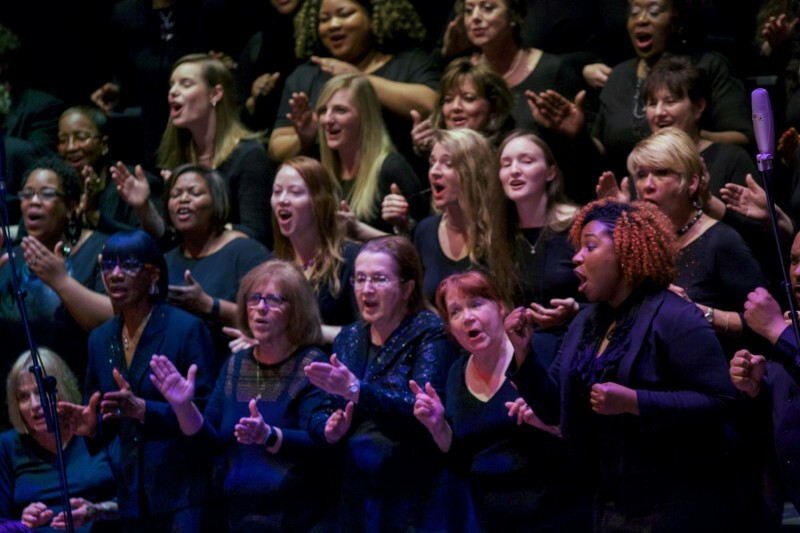 Grand Rapids Symphony Community Chorus was featured on a couple of spirituals, “Deep River” and “Hold On,” in arrangements by their director, Duane Davis. 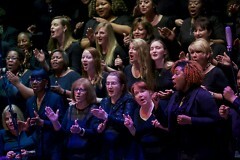 Though the Community Chorus comes together for no more than six weeks to prepare, plenty of singers come back year after year. The Community Chorus joined in to sing behind Hathaway on George Gershwin’s “Summertime.” It was an adventurous arrangement by Duane Davis, and the chorus handled it well. Earlier in the evening the “Celebration of Soul” dinner and gala honored two individuals and one organization that promotes and celebrates diversity and inclusion in West Michigan. Former Grand Rapids City Commissioner Elias Lumpkins and Christina Guajardo Arnold, founding director of The Bob and Aleicia Woodrick Center for Equity & Inclusion at Grand Rapids Community College, and Cherry Health, all were awarded the MaLinda P. Sapp Legacy Award. Proceeds from both the “Celebration of Soul” dinner and the “Symphony with Soul” concert support the Grand Rapids Symphony’s Mosaic Scholarship Program for African-American and Latino students. Scholars are provided musical instruments and lessons with Grand Rapids Symphony musicians along with music, supplies and materials. Some 15 Mosaic Scholars under the guidance of Creative Connections, performed original works of music that they composed and arranged as a group. Someday, some of them may be playing an entire show with an orchestra such as the Grand Rapids Symphony.